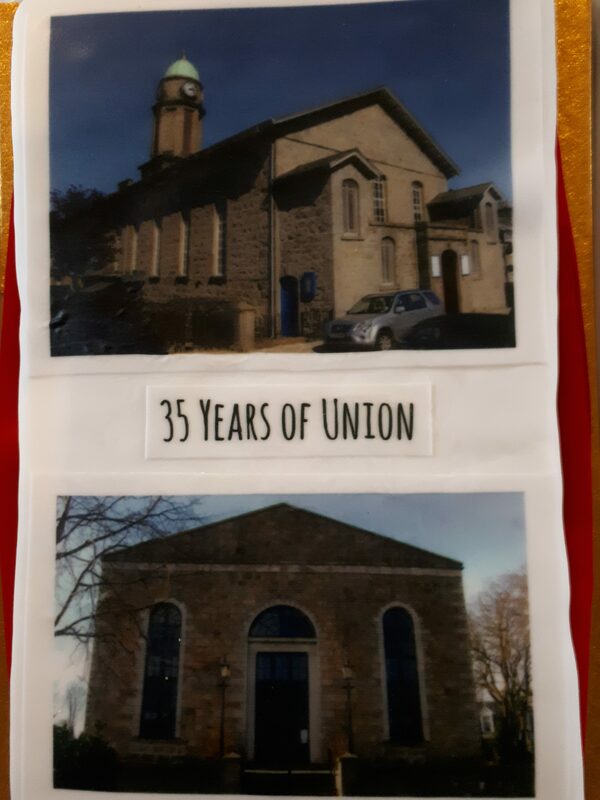 We had our Celebration of 35 Years of Union of Woodside North and Woodside South Church wh0 joined together as Woodside Parish Church in 1987. The South Church (top picture) was kept as place of Worship, while the North Church was sold and turned into flats. We all enjoyed an afternoon of great entertainment, home bakes and fellowship. Our Choir, soloists & MCs delighted us with the story and songs of Moody and Sankey. 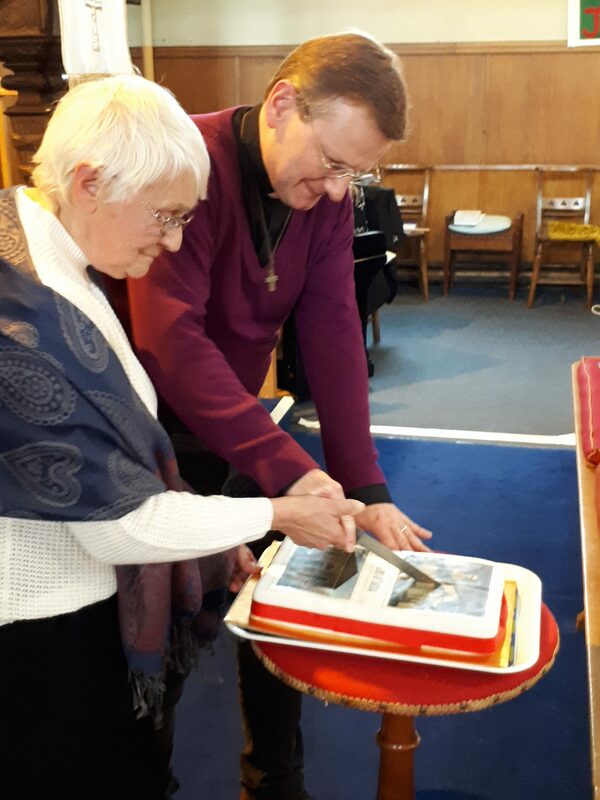 Life long member Cynthia cuts the cake with Rev Markus.